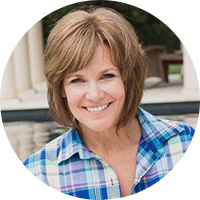 Kathleen Seeley is an acclaimed international speaker, facilitator and leadership consultant. As a presenter, she is engaging, articulate, humorous, and insightful, making learning a dynamic professional and personal growth experience. Her roles have brought her in direct contact with all levels of business and government. She distinguishes herself by being dynamic, flexible, and sensitive to the specific needs of each individual client group. She is able to gain trust and build relationships in a remarkably fast and genuine manner. As a mentor and a coach, she has the awareness and courage to confront what needs to be confronted, yet able to deliver her feedback and wise counsel in a compassionate and effective manner. She integrates the right dose of humour and self-disclosure about her own challenges, that makes her feedback easy to listen to, understand and integrate without resistance. Kathleen’s work is targeted to create sustainable values driven cultures. A values based approach is emerging among leadership around the world as a pathway to a more stable and sustainable human future. A focus on values takes us to a level of awareness beyond the short term, and enables insight into meaning and purpose. Kathleen has a Masters Degree in Leadership with a focus on Collaborative Leadership Practices and a Master’s Certification in Values Based Leadership. She Teaches in the School of Leadership Masters Certification for Values Based Leadership at Royal Roads University in Victoria British Columbia. Kathleen consults globally and lives in Salmon Arm, British Columbia with her three children. Massively Human leaders are values driven and identify themselves as agents of change focused on the common good. They are courageous visionaries who believe in people, committed to lifelong learning and by their essence inspire the best in others.